What is George Street’s style? Photojournalism! There’s nothing like capturing raw, organic moments, from the joy on a couple’s face to the happy tears shed during the ceremony. Those unplanned moments are glimpses into the emotion and excitement of the day, and to us, that’s what weddings are all about! Your style test results help us understand everything about your day, your style and the way you imagine it. However, the true style of the images you receive is driven by you. We take the time to get to know your vision, because every wedding has its own special aesthetic and its own special story. As we get to know you, we can help you choose the perfect photographer to capture your style, just the way you imagine it. Your style and your wedding are one of a kind. Our certified photographers also have their own unique style and aesthetic. We take the time to get to know you through style assessments, planning sheets and personal details about you, as a couple, so we can help you select the photographer that’s right for your wedding. We’re knowledgeable of our photographers’ individual styles, personalities and photojournalistic storytelling capabilities. We use that information to help you choose the photographer that matches your vision. We’ll also ask key questions about how you want your photographer to assist with creating beautiful images that perfectly match your personality and direction. This is done after you complete your wedding planning sheets and style assessment. What is a Personal Wedding Coordinator? Your Personal Wedding Coordinator is your wedding photography expert, who can help you with anything you need as your planning progresses. As you initiate the planning process, you’ll likely have countless questions about photography, style and timing, and your Coordinator is there to make sure your photos come out just the way you envision them. Our Wedding Coordinators have planned the photography and videography schedules for hundreds of weddings, and are experts at maximizing shooting time for a wedding day. When should I talk with my photographer, and what details should be finalized before we connect? We recommend speaking with your photographer close to the wedding date, as that’s when your plans are likely to be finalized. Prior to your meeting, your Personal Wedding Coordinator can help you troubleshoot timelines and suggest locations. The week of the wedding is the best time to have a conversation with your photographer, because it ensures a more productive meeting, and a thorough review of your wedding day preferences and plans. It also ensures all the details you discuss will be completely up to date. I loved working with George Street! How can I help others find you? Thank you! We want to spread the word as much as you do. The best places to leave feedback are independent review sites like Yelp, Wedding Wire and The Knot. 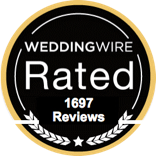 If you do leave a review and would like us to forward it to your photographer or videographer, please sign the review with your initials and wedding date. She or he will love receiving your compliments, as well! We appreciate your kind feedback, as it helps give us continue to serve our happy couples for years to come! All of our images are shot in color, but you can easily request the photos to match your particular preference within our online ordering system. Prior to placing an order, you can preview any image in black and white with no charge! Additionally, all of your high-resolution digital negatives will be delivered to you after the wedding, and you are more than welcome to request additional editing effects! Does my package include digital negatives? Yes! Digital negatives are included with all of our packages. These high-resolution files are yours to keep and can be used to make your own prints, give as gifts to family and friends, or upload to your favorite website. What if I want to order a product that’s not included in my package? We offer many products and services that are not included in our main packages. From frames to signature books to canvas prints and albums, we can help you order anything for your wedding photography needs. If you’ve seen it, we can order it for you! How many cameras will the videographer use at my wedding? We believe the only way to capture a truly photojournalistic wedding ceremony is with two video cameras. Using two angles, we can achieve better coverage, multiple shots and more audio signals for a superior final video that you’re sure to treasure forever! Your wedding video is comprised of two main sections. First is your Highlight Reel, which is a 4-6 minute video that captures all of the highlights of the day. The Highlight Reel is perfect to show friends and family who want a glimpse into your day, without the time constraints of a feature-length video. 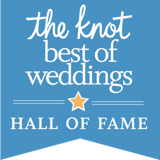 The second segment is a thorough documentation of your day, featuring the entire ceremony, main reception events and dancing selections from the entire night! The video offers a complete photojournalistic representation of your day that either can be enjoyed in a short amount of time or through a complete viewing experience! Why do you use a wireless microphone? What happens if my photographer or videographer gets sick on my wedding day? For every wedding we shoot, we always have at least one certified lead photographer and lead videographer who are paid to be ready for any emergency. Our photographers and videographers are on a rotating backup schedule to ensure that we have a qualified professional available at a momentʼs notice. Can you shoot my wedding in high-definition? Yes! Talk with your Wedding Coordinator or your Consultant, so that we can assess your exact needs for video and make sure that all your needs are met. We are one of the first studios to offer this service and are proud to offer premier standards when it comes to high-definition quality.